Millbury/Grafton – Albert G. Gosselin, 82, passed away peacefully at home Dec. 27, 2018, surrounded by his adoring family. Born Dec. 12, 1936, Albert Gosselin Sr. lived 82 years filled with family, love and laughter. He was a man of incredible faith, unwavering loyalty, and unconditional love. 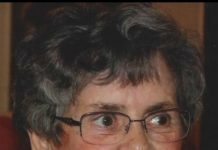 He was predeceased by his loving wife of 49 years, Carol A. (Luciano) Gosselin, who passed in 2008. He was also predeceased by his parents, Zoel and Yvonne (Arsenault) Gosselin of Worcester; his brothers Raymond, Ernest, Gerald, Norman Gosselin; and a sister, Annette Joncas. He leaves his son, Albert Gosselin Jr. and his wife, Robin, of Uxbridge, his daughter, Darlene Crowley and her husband, Brian, of Douglas; and his daughter, Tina Bachand and her husband William of Millbury, with whom he lived for many years. He also leaves behind six grandchildren, Dineen Tetreault, Albert Gosselin III, William Bachand Jr., Jillian Leatham, Nina Gosselin and Matthew Crowley; one great-grandson; and one great-granddaughter on the way. He is survived by two sisters, Lucille Jacques and her husband Gerald of Rochdale and Beatrice Boudreau and her husband Ronald of Charlton, as well as many nieces and nephews. Albert served his country during the Korean War in the United States Army where he served 26 months in Germany as a high speed Morse code radio operator. Al was fluent in French, German, and English. Al worked at Harr Ford and then left to open his own car business which he worked at for more than 40 years. Al loved spending a month (or two) in Las Vegas with his wife Carol. He was famous for his perfectly groomed mustache and his always nearby cigar. Always a class act, Al will be missed by his family but remembered for the fun and doting patriarch that he was. He left this world the way in which he lived, surrounded by his loving family. 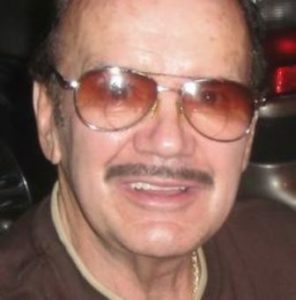 Papi, as he was affectionately known by his grandchildren and many others, was a man of good humor, known for “removing his thumb” and ordering “canpakes” for breakfast. His funeral Mass was celebrated Dec. 29 at St. Mary’s Church of North Grafton, and he was then to rest at Notre Dame Mausoleum in Worcester. In lieu of traditional remembrances, please honor Albert with a donation to the American Red Cross at www.redcross.org/donate. A Book of Memories to share a memory of Albert is available online at www.RoneyFuneralHome.com.